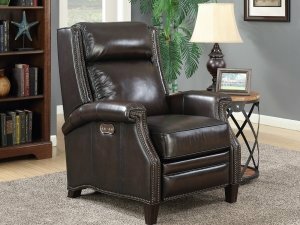 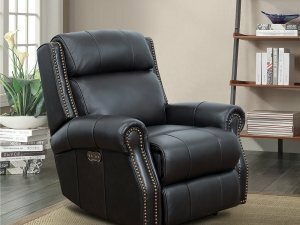 Swivel glider pedestal recliner with power recline and power headrest, one touch memory preset and home close button. 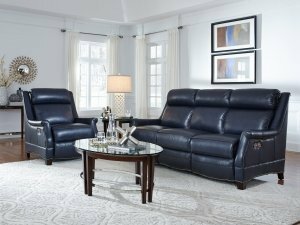 The Powell features a three sectioned slightly barreled back design, track arms with tucked foam top pillow, pocketed coil pad over chaise seating and upholstered swivel base. 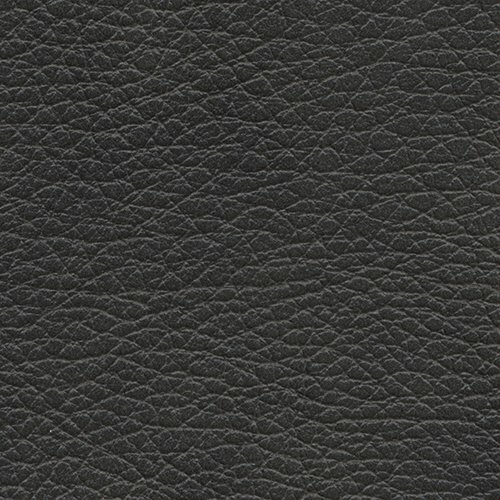 USB port on power controller.